The Society of Mary based at Notre Dame de France, a church situated in the centre of the city of Westminster, is called by the gospel to form a communion for mission from within the roman catholic francophone community in London. It contributes to the pastoral care of the ‘West End’ district of London as a ‘city-centre church’. Notre Dame de France is recognised by the Diocese of Westminster as an ethnic chaplaincy and is part of the Aumônerie Générale des Français à l’Etranger. The Society of Mary forms a communion through the creation, maintenance and enhancement of pastoral care for the francophone community wherever it is present in London. 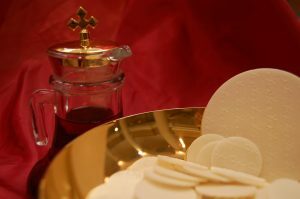 By its very nature this communion is called to go out on mission. The community of Notre Dame de France – religious and laity – is committed to evangelise in word and action; it reaches out to other people, particularly those who frequent the west end and share this environment with us. Ministering to the spiritual needs of the francophone community and preparing individuals and groups for the sacraments. Providing religious education for children and adults. Developing leadership in spiritual and pastoral affairs. Creating opportunities for the francophone community united in faith through Notre Dame de France to engage in works of justice, mercy and charity. Encouraging the francophone community to support the local church and other catholic pastoral activities in London’s west end. Initiating collaboration between the francophone community and other individuals, churches and organisations who share similar concerns with Notre Dame de France.